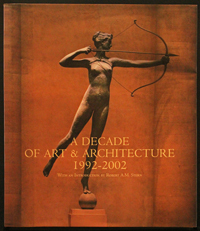 Mark McClure and former partner Oscar Menzer were included in the book “A Decade of Art & Architecture 1992-2002”, a survey of recent work by 100 architects, artists, and artisans from the United States and Europe celebrating The Institute of Classical Architecture & Art’s ten year anniversary. Other work will be included in an architectural series from Acanthus Press entitled “Building the American Vernacular”. The multi-volume series will explore specific traditions, with historic examples from early 20th century architects as well as contemporary architects. It is, as yet, unpublished. 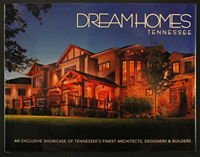 The heavily illustrated coffee table book, “Dream Homes Tennessee”, published by Panache Partners, showcases additional work in and around Memphis. The firm’s work is also shown in such regional magazines as At Home, MidSouth Magazine, and 4 Memphis. These publications have documented both interior and exterior details of a variety of projects. McClure | architecture has also assembled a 193 page in-house portfolio of custom designed pieces of furniture including breakfront and display cabinets, tables, vanities, consoles and servers, mantels, and a variety of other bespoke items.